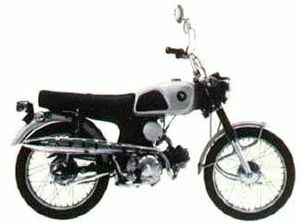 The Honda CL90 was a 4-stroke 90cc OHC motorcycle built by Honda between 1967 and 1969. 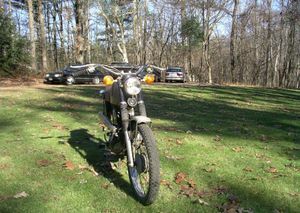 The CL designation indicated this model to be the "Scrambler" version which implied some off-road capability prior to actual dirt-bikes gaining popularity. 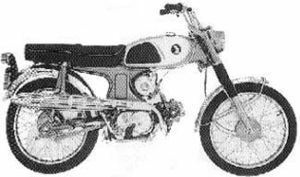 The CL series of bikes were actually street bikes with a higher rear fender, a braced handlebar, and a high-mount exhaust. 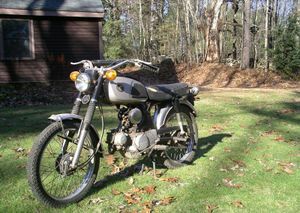 It appears that Honda quit making the CL90 in favor of the Honda CL70 which met many states laws requiring bikes to have 5 horsepower or less for restricted licenses (age 15). The below mentioned CL90L was already designed for that purpose. 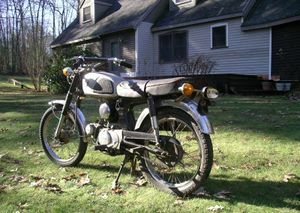 The Honda Scrambler 90, designated CL90, was sold 1967-69. Three colors were available: Candy Red; Candy Blue; and Black. The fuel tank was silver on all models. The fenders and exhaust system were chrome. 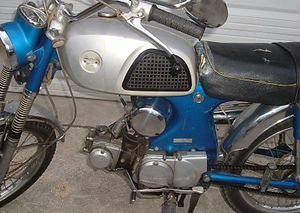 The engine was a 89cc OHC single cylinder. The transmission was a 4-speed with a manual clutch. The serial number began CL90-106956. 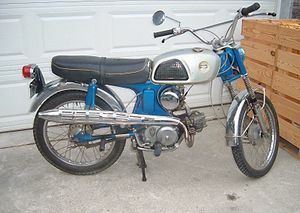 This Honda Scrambler 90 was designated CL90L to indicate that it had 5 hp and was a requirement for bikes sold in Nevada. 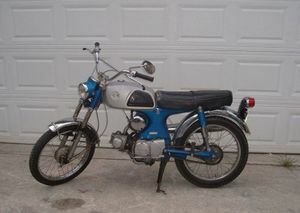 It sold 1968-70. Two colors were available: Candy Red and Candy Blue. 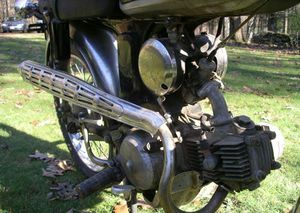 The fuel tank and headlight shell were silver on all models. The fenders and exhaust system were chrome. The "5 HP" decal on the air filter housing was red and white. 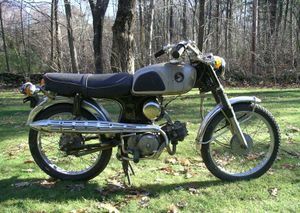 The engine was a 89cc OHC single cylinder. The transmission was a 4-speed with a manual clutch. The serial number began CL90L-100001.